Sometimes people walk into your life to remind you of the person you were 10 years ago, and to remind you that if you take life by the horns and want for more in life, it will be the adventure you want plus more. Kristen (aka the Lady Lassen) has one very adventurous spirit and spreads good vibes and encouragement wherever she goes. Highly intelligent; you get the sense there is little she cannot do. 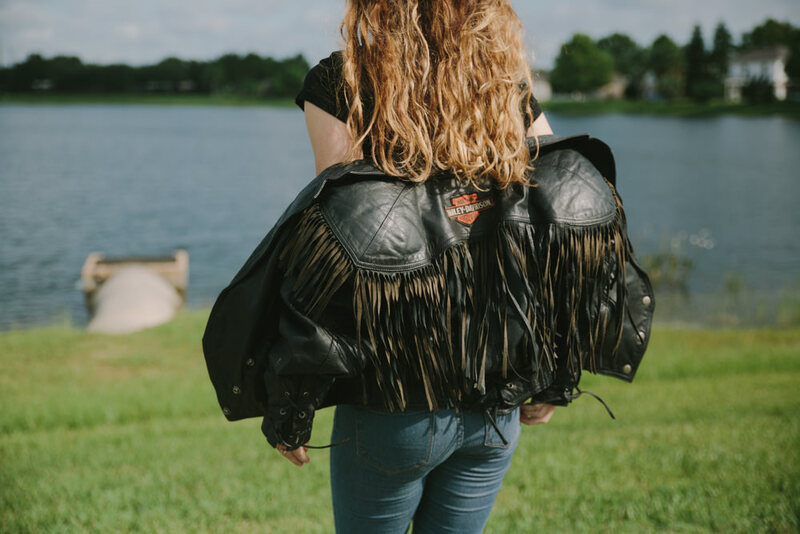 Coming from a long line of very tough women, Kristen survived a difficult upbringing by staying at school after hours, volunteering as a teaching aid to prolong returning home. Her motivation to be better, in-turn, gave her an advantage over all her peers and prepared her for a higher education in engineering at college that she probably was totally overqualified for, topping her class consistently. 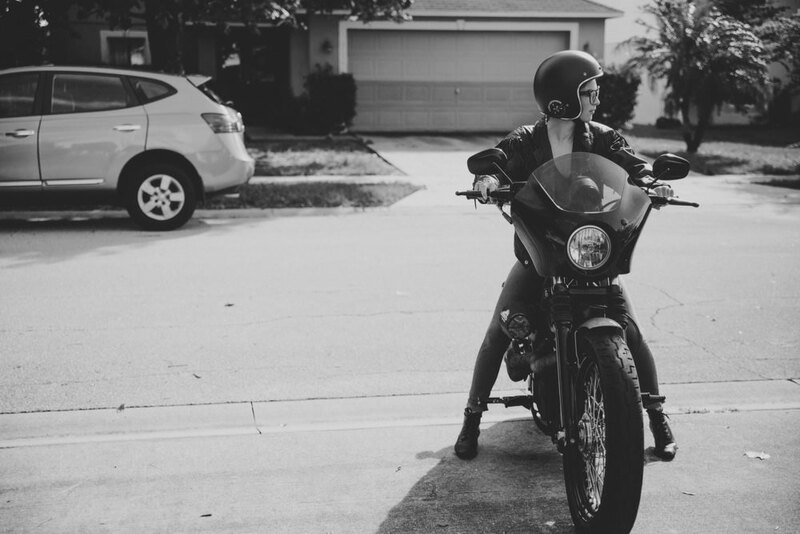 Meanwhile, her father had recently retired from the US Navy, re-entered her life and brought motorcycles with him. A mechanic by trade, and militant in his preparedness for safety protocols in riding, Kristen’s first motorcycle adventure (and I mean literally the first time she ever rode a motorcycle herself!) was a trek from the panhandle of Florida all the way up to South Dakota… she was seventeen. As her engineering degree progressed, not only did she not feel challenged, she also knew that there was something missing. 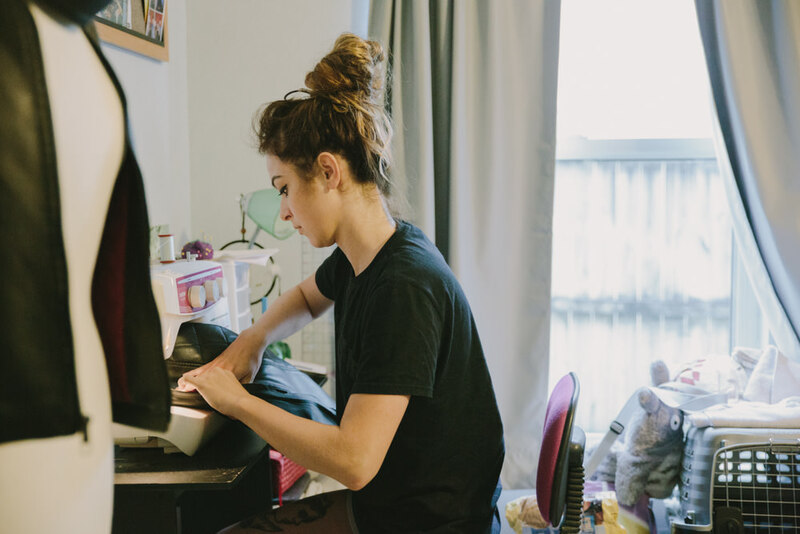 Riding and wrenching were all she could think of but still felt enormous pressure to complete her degree and land herself in a profession with a steady job and good income. After all, she was gliding through her studies seemingly easily - it would be a shame for her to throw it all away… right? Well… wrong! 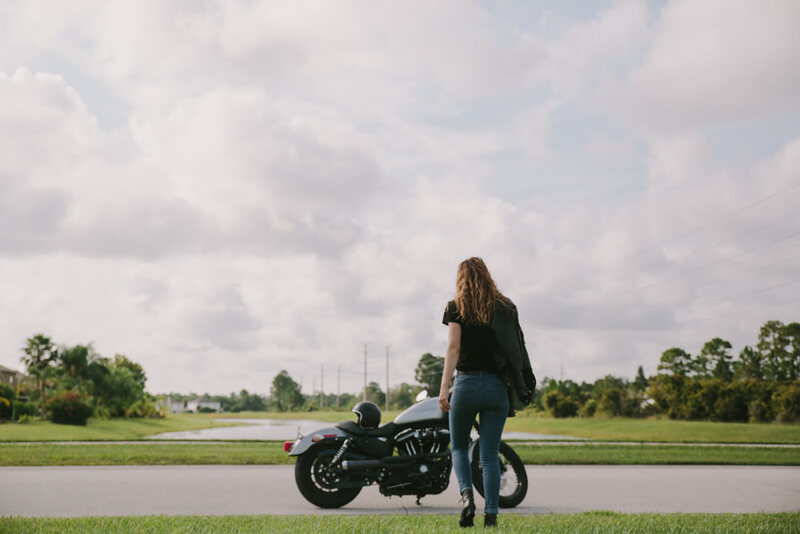 Kristen started riding more and writing about her experiences and lessons from her father on riding, interweaving her love for the open road with life. Once she started sharing her tales with the world, it started sharing back, exposing her to a wide range of supportive and inspiring women and men who encouraged her to continue sharing her story. This is when we found Kristen (and have published a few of her stories here on IVV). Her Instagram feed is well written and highly reflective, usually acknowledging the women who came before her (and all of us) to remind us that we’re lucky to have a voice thanks to the sacrifice and struggle of the many women who have paved the way. 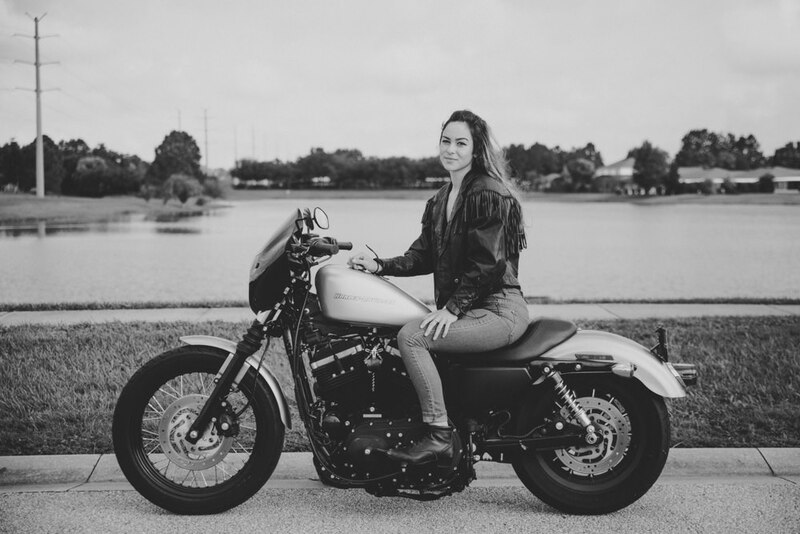 With a groundswell of support behind her and a flailing interest in an engineering career, Kristen made the tough decision to drop out of college and enrol in The Motorcycle Mechanics Institute (MMI) in Orlando Florida to immerse herself in the building, engineering and riding of motorcycles. As scary as that decision was, once she took the first step she found clarity of purpose and finally an education that would challenge her. 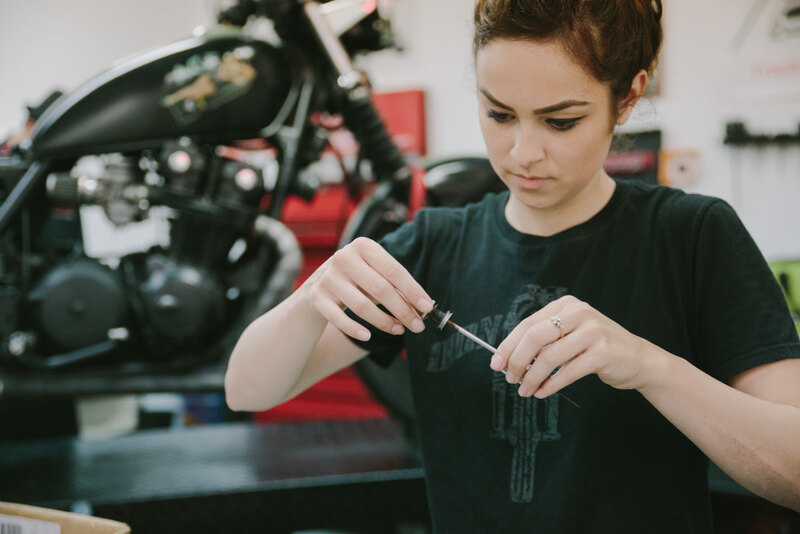 Today, in her very early twenties, Kristen has graduated from MMI a qualified technician, and founded Daughters of the Road – an initiative to spread empowerment to women and the community using the vehicle of two wheels. 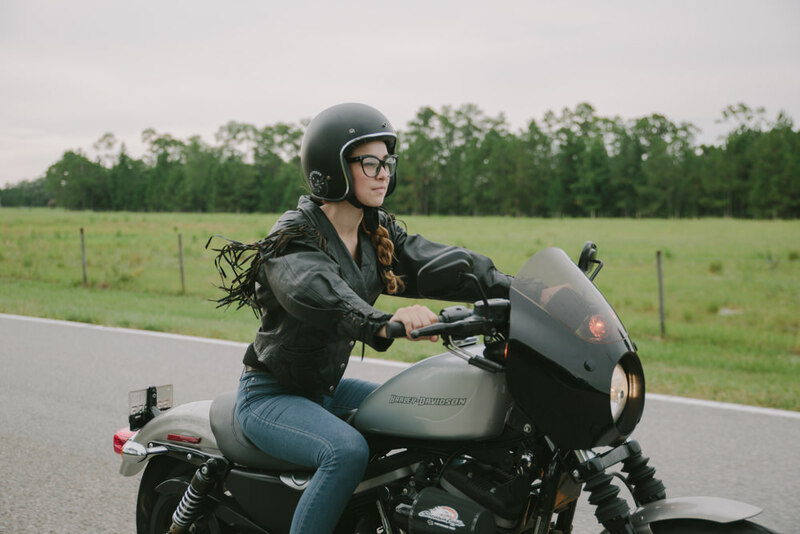 She is also currently on another long road trip with fellow female riders called the Heritage Run (follow at #theheritagerun) a 6500+ mile (10,500 KM) round trip from Florida to California, and preparing to move to Pensacola to dedicate her time working with her father in building custom Harley-Davidson motorcycles. Needless to say, Kristen has found her calling and is more curious and inspired than ever, elevating people with her on her epic adventures. This lady is one to watch, generous in spirit and completely committed to seeing more women become an active part of the moto community. Her stories enhance our sense of community, even from across the other side of the world, as she connects us to the past, the present and gives hope for what potential lies ahead. 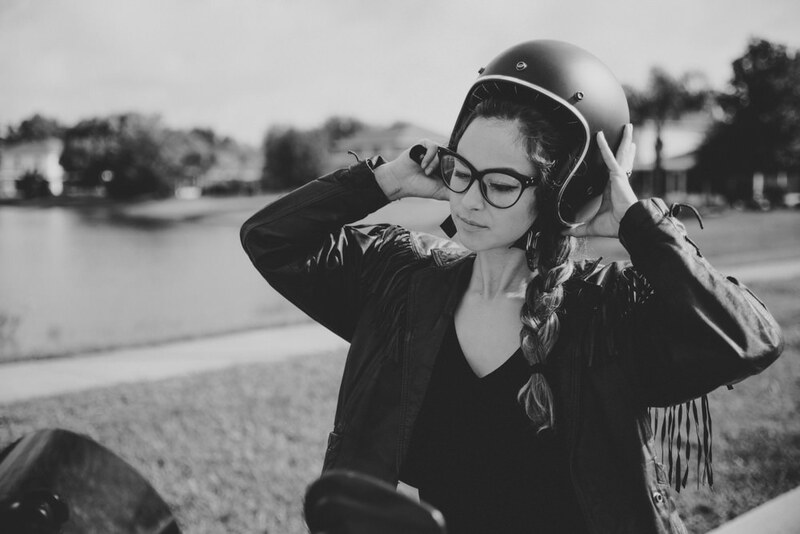 Leticia is unassuming, a free spirit, passionate about riding and keenly supportive of women who ride. 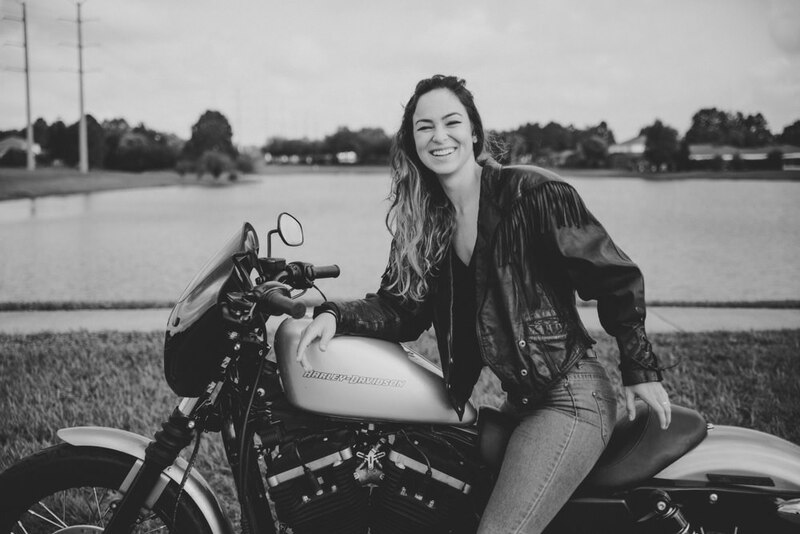 I came away from meeting Leticia, overwhelmingly inspired by her journey, as her passion for gasoline culture is both intrinsic to who she is and rooted in a strong connection to her father.